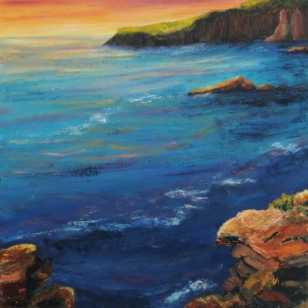 This oil on canvas painting is was inspired by the wonderful changing light seen on the coasts of Cornwall. It is framed in a white box frame. 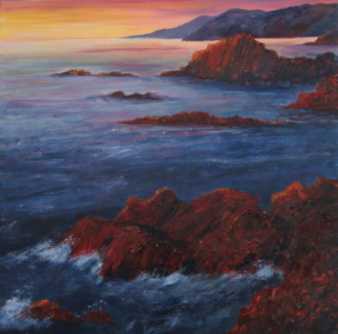 This painting was inspired by the wonderful light effects experienced at the Cornish Coast. 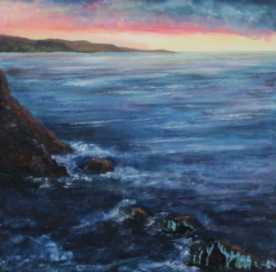 This painting inspired by the wonderful light effects on the Cornish coast. Painting inspired by views on a round the island tour of Gran Canaria. This oil on canvas painting was a preparation piece for a commission. 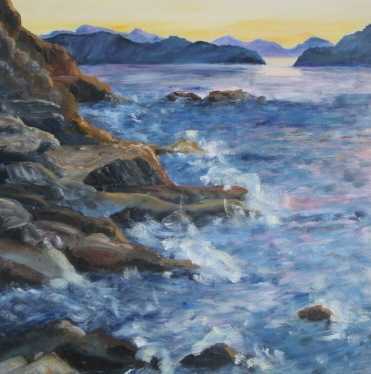 I worked from the clients photographs of their favourite coast in Norway. One of my favourite walks is along the old railway track from Aldeburgh to Thorpeness. There is a group of tall pine trees, a place where I stop and look towards the sea, which is just out of sight. 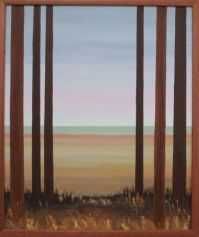 This painting is my interepretation of my experience of peering through trees to a distant view. The wooden frame (without glass) creates another layer of depth.Please email if you would like to see the painting. This oil on canvas was inspired by visits to the mountains. Driving along mountain roads you often come across striking scenes. This is my impression of one such scene. The painting is framedin grained, wood, matt grey frame, without glass. Please email if you would like to see the painting, patricia.palmer1@btinternet.com. 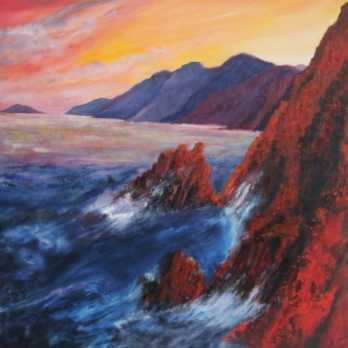 It is available to buy as a print from www.bigemptywall.com and is on Exhibition at Hinxton Church 7th & 8th September. This painting was inspired by a trip to the French Alps. It is oil on a canvas stretcher and is framed in cream washed wooden frame, no glass. Please email if you would like to see this painting. This painting is available to buy as a print from www.bigemptywall.com and is on exhibition at Hinxton Church 7th & 8th September. This painting was inspired by a trip to the French Alps. Unframed oil on canvas. 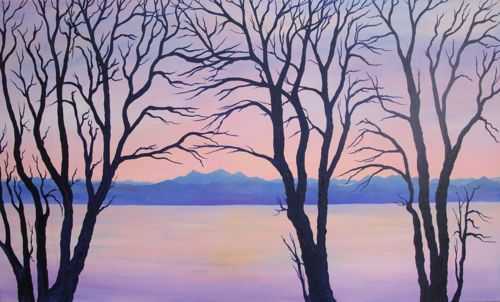 Email me if you would like to view this painting. This painting is available to buy as a giclee print. 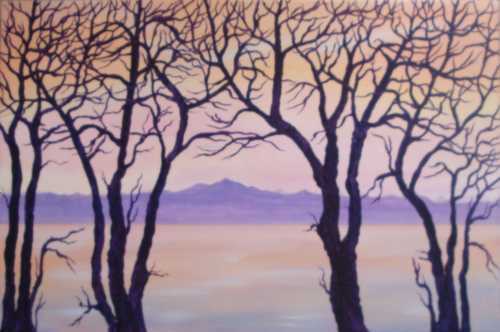 This painting was the third picture in the series inspired by a views scene through trees. It is oil ipianted in layers on a textured background. Email me if you would like to view this painting. 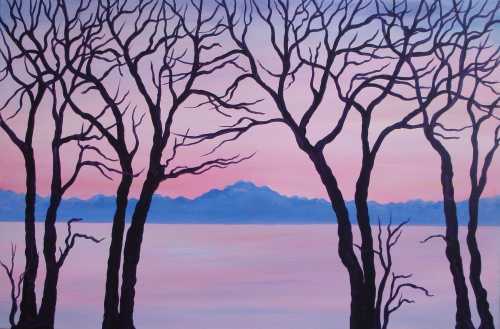 This painting is available to buy as a giclee print. 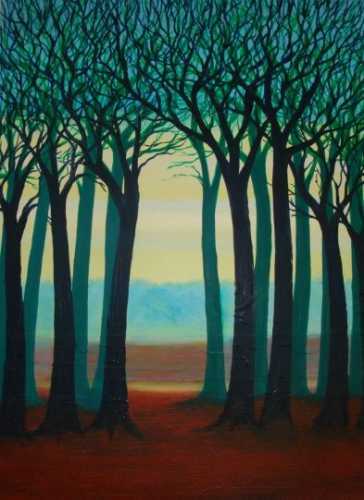 This is the second painting in the series inspired by the looking towards the light through trees. It is oil painted in layers on a textured background. Please email if you would like to view this painting. 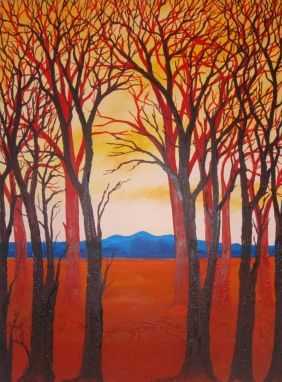 The inspirartion for this painting is the landscape near my home in Great Chesterford. I work from my own photographs and memories of the scene creating an impression of the place. This painting is unframed. Please call if you would like to view it. It is on loan to Cambs. Health Trust Arts Programme. Please email if you would like to see the painting.